No two weddings are the same. 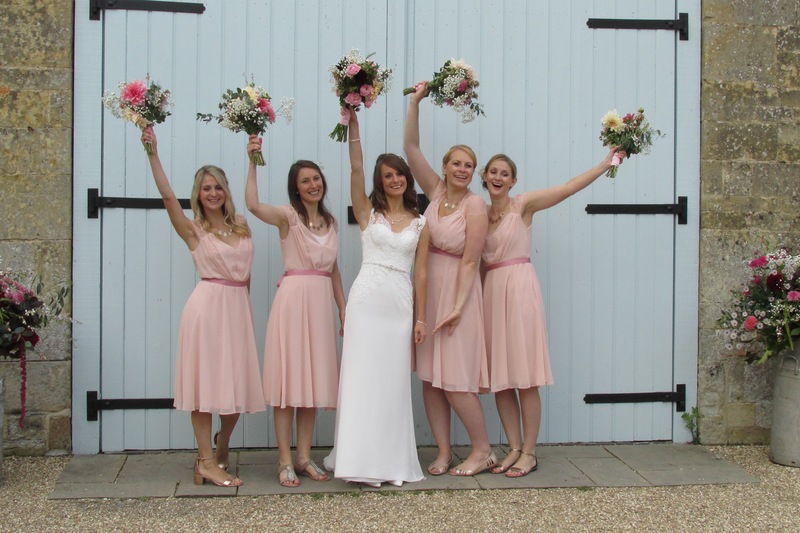 Whether you are looking for a bridal bouquet and a groom’s buttonhole, a marquee bedecked from head to toe or just beautiful seasonal flowers to arrange yourself, we are happy to help. We’ll work with your theme and ideas: take a look at our wedding gallery for inspiration. 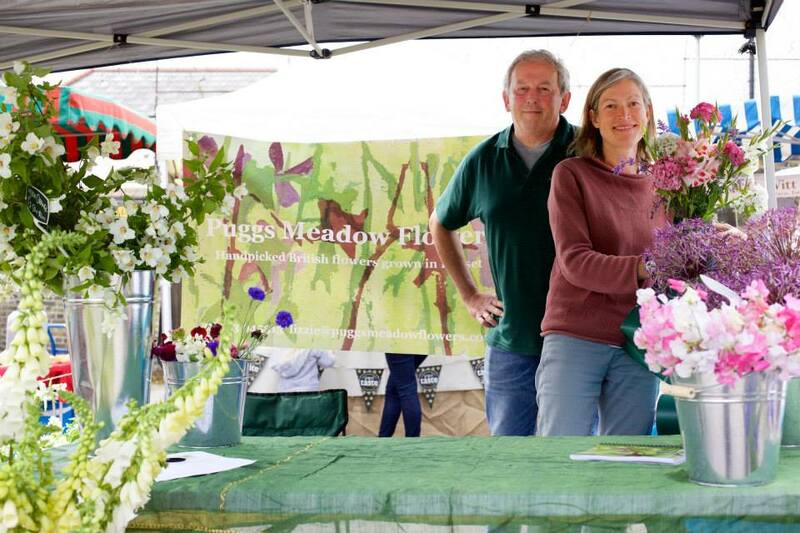 We provide flowers and foliage for florists in Dorset, Wiltshire and Somerset and deliver free within a 10-mile radius of Puggs Meadow. We can also deliver further afield for a sensible delivery charge. Contact us if you would like a seasonal availability list, which we can provide on a weekly basis. We are regulars at Winchester Farmers’ Market (twice a month) but pop up elsewhere: Frome (Somerset), Alresford and Leckford (Hampshire) – click through for details. 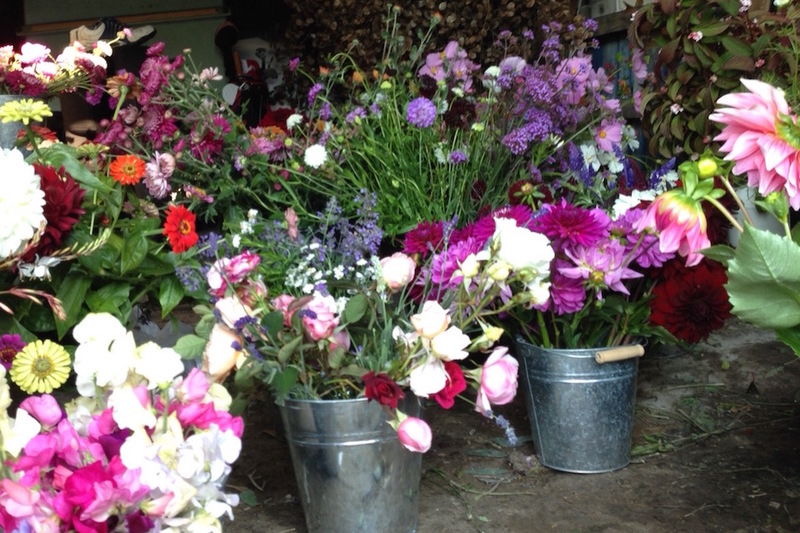 We sell posies and bunches cut the previous day from whatever is growing in the meadow. Sign up for the newsletter for latest news and dates. We grow and arrange beautiful British flowers.